On Thursday, April 4th, a group of 22 students from Arlington High School, along with 650 other students from Massachusetts, attended Classics Day at the College of the Holy Cross in Worcester. 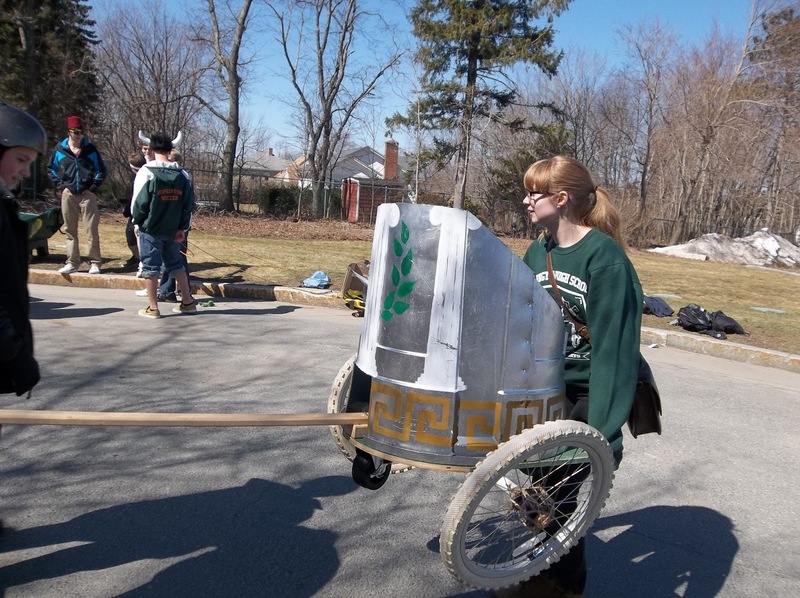 Students competed in ancient costume contests, certamen (Latin quiz-bowl) competitions, and a chariot race. The day was a great success! 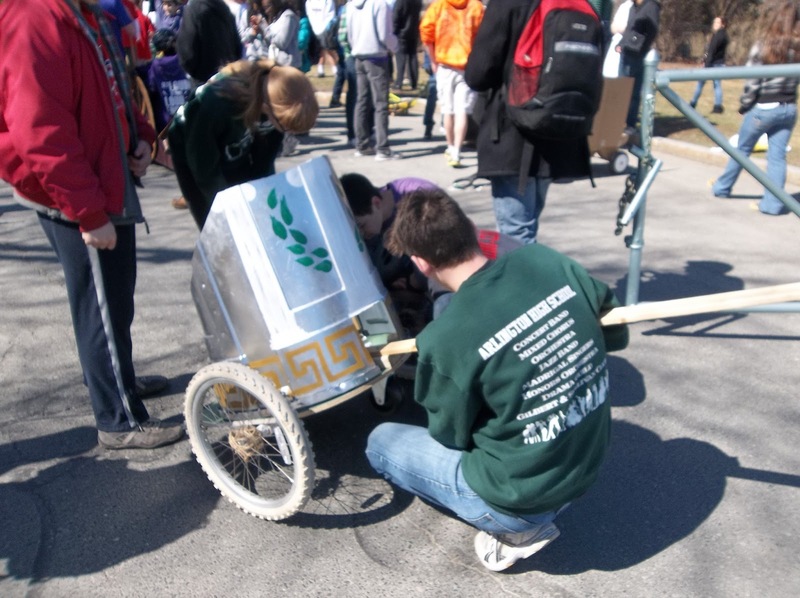 One of our certamen teams placed third out of all the upper level teams and came home with a trophy. 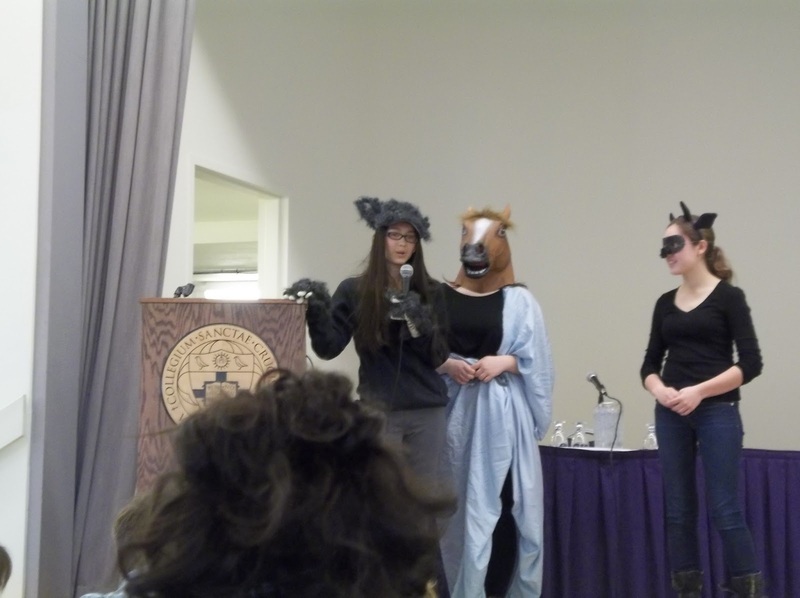 All of our certamen teams did very well, either winning their preliminary competition or coming in a close second place. 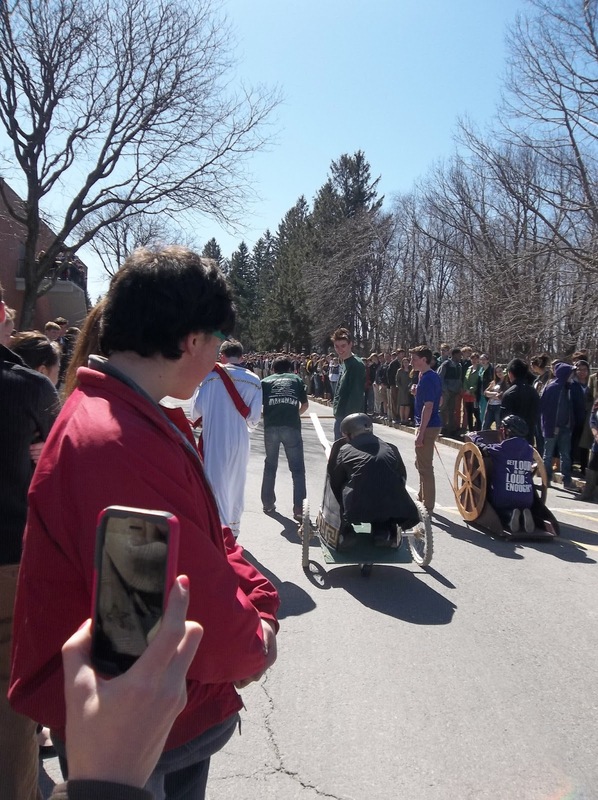 The chariot race was one of the highlights of the day, even though our chariot did not win. All the students (and teachers) thoroughly enjoyed themselves, and many of them are already talking about returning next year! To read more about Classics Day at Holy Cross, please click here. Emma Hodgdon (dressed as Lykaeon, the wolf-king), Sadie Griesmer (as Incitatus, Caligula'shorse) , Ruby Kinnamon (as the Minotaur) compete in the costume contest. Students work on their chariot before the chariot race. 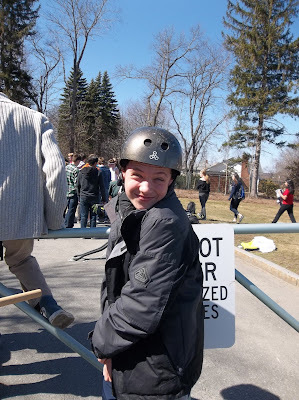 The charioteer (sophomore Will Doyle) smiles for the camera before the race. Senior Anna Rogers carries the chariot to the starting line.